We are at war again? Home / latest / We are at war again? 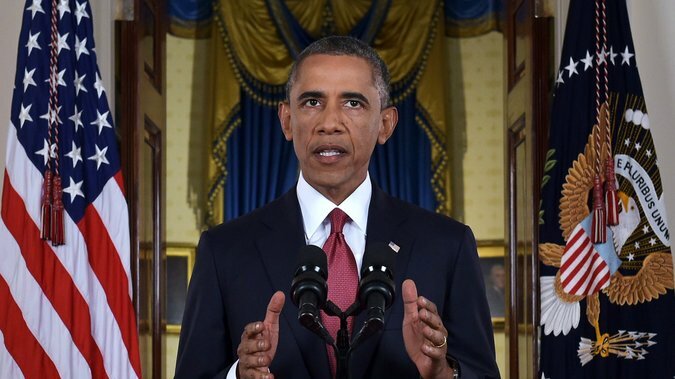 The President just finished his news conference about the plan to combat ISIS (ISIL). I am somewhere between confused and infuriated – baffled and livid. The beheadings are horrific. The threat is undeniable. But … is this really the American response? My concern is that the US has created a Frankenstein. America is combatting a hydra of its own creation! You cut off one head and another pops up. The revival of ‘jihad’ in the 80’s to combat the Russian threat … the subsequent ‘war on terror’ after the events of 9/11 2001 … have lead to this newest manifestation … how does it possibly resolve? There are those who buy into the ‘Class of Civilizations’ myth. There are those who point to the ‘End Times‘ idea. There are those who hold to the ‘American Exceptionalism’ party line. One thing I know is that our Homebrewed listeners are more intelligent and insightful than I am. Does anyone have some insight on this? Some thoughts to point a way forward? I would really love to hear some alternative perspectives.